Senior Instructor Andrew Little departed Mareeba at 7:51 am on a 7 hour ferry flight to bring a brand new Cessna 208 to the PNG programme. 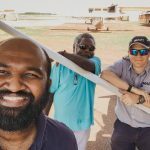 In the past weeks, Mareeba Engineers completed all required MAF modifications and inspections to enable it to be of great service with MAF Papua New Guinea. Before Andrew’s departure, the Mareeba staff was getting together early in the morning to pray for a safe trip. 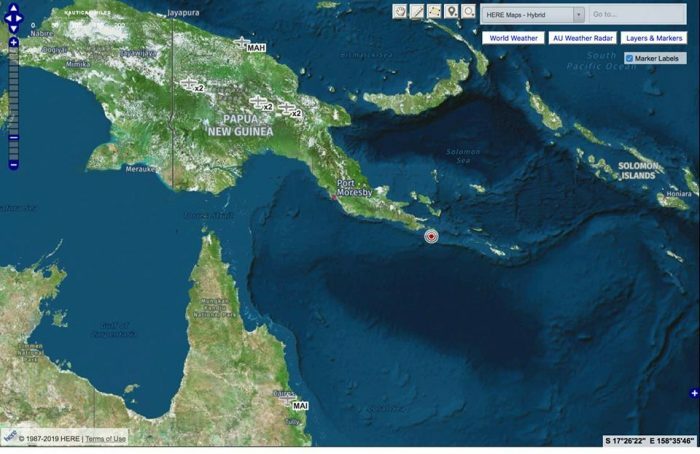 MAF Papua New Guinea: Can you spot the aircraft P2-MAI on this map? 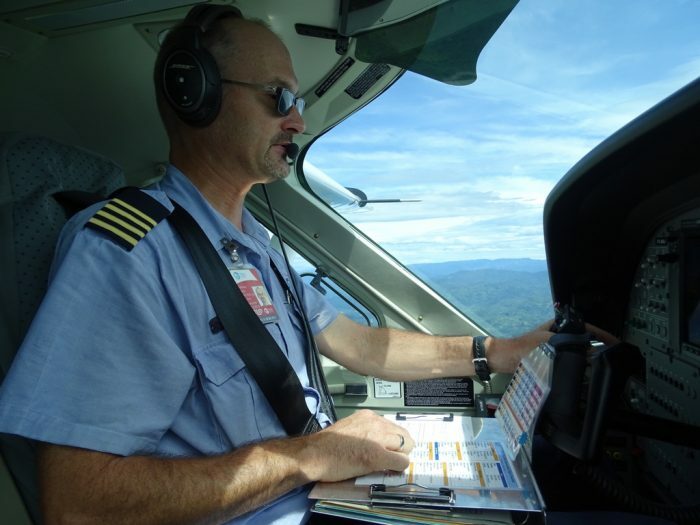 Its engine was on early and the schedule for the ferry flight was to fly from Mareeba via Horn Island to Mt Hagen. We expected “Mike Alpha India” to land about 1:30 pm at the Kagamuga airport. The weather was looking good for the day which was a huge answer to prayer. P2-MAI is the first of the six new Cessna Caravans, C208. 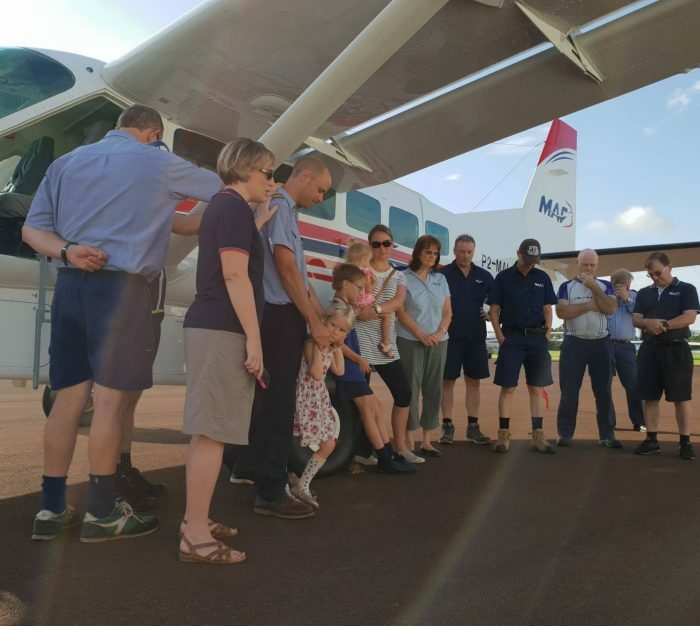 Upon its successful arrival and after the aircraft was unloaded and customs cleared, our Mt Hagen based staff were holding a dedication ceremony placing this new aircraft into ministry here in PNG. Our God will deliver the plane and the pilot safe to kagamuga. Safe travels and may all who travel in it during it’s years of service be blessed. Praying for Ferry Flight and Pilot’s Safe Flying! Thank you Lord for the providence, thank you also to MAFI and Mareeba team – God bless. Thank MAF PNG and MAF international for your blessing to PNG. God bless you! Praying for safe travels all the way. Thank you God. ‘Mike Alpha India’ has arrived! 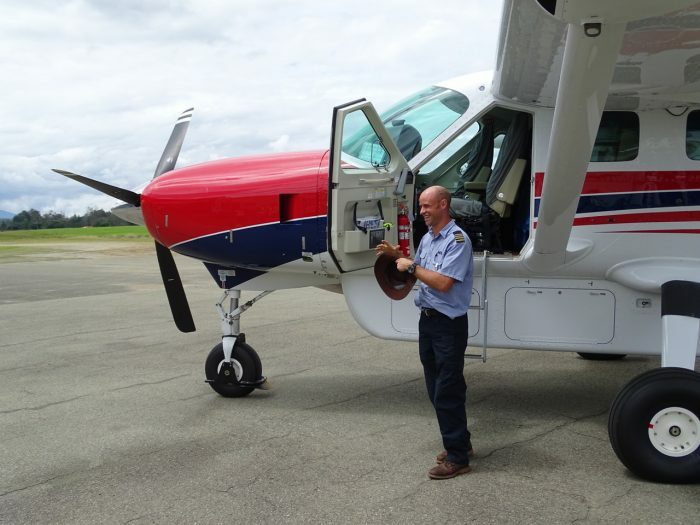 After 5,4 hours in the air and covering a distance of 765 nm, Mike Alpha India touched down at the Kagamuga Airport, Mt Hagen at 1:58 pm, welcomed with a water salute by the Mt Hagen Airport Fire Brigade and witnessed by all our Mt Hagen based staff and families. 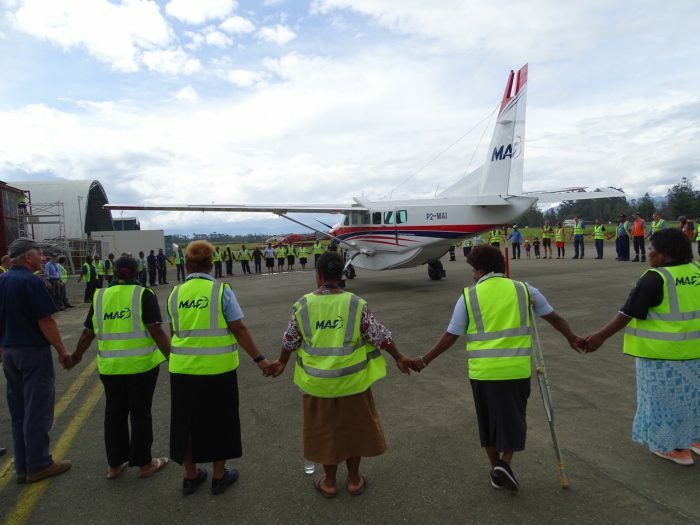 We as MAF PNG are thankful to God and to all the donors who made it possible to have the first of six brand new Cessna Caravans come to PNG and to be dedicated to serving the people in the remote areas. Thank you, God, and God bless all those that give willingly to this ministry. Whoop!!! New planes all over the place!! That’s an incredible number of donations from some very generous people!! This was the program for our newly arrived Cessna Caravan P2-MAI on its firsts operational day of flying. Landing at Madang after its first leg, the plane was welcomed with a water salute by the fire truck there, all to the surprise of pilot Mathias Glass. Our Madang based traffic officers were very proud to greet Mike Alpha India on its first ops day and facilitate the program for the day. 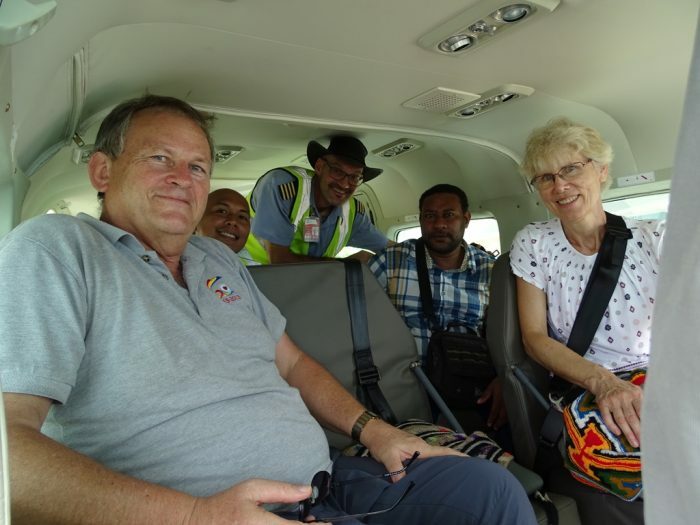 Waiting at Madang, were the German Dr Traugott Farnbacher with his wife Esther and two Madang based Lutheran pastors. 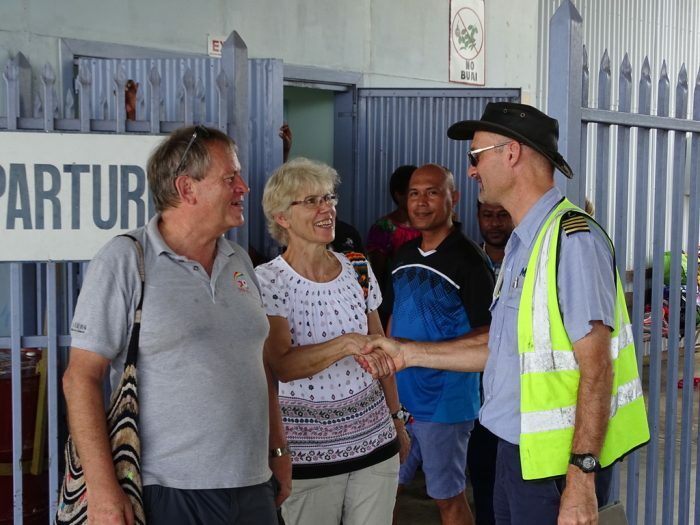 Dr Farnbacher has been a missionary in PNG for many years, but for now 15 years, he leads the mission department of ‘Mission Eine Welt’ for PNG/Pacific/EastAsia; a mission organisation of the Lutheran Church of Bavaria. 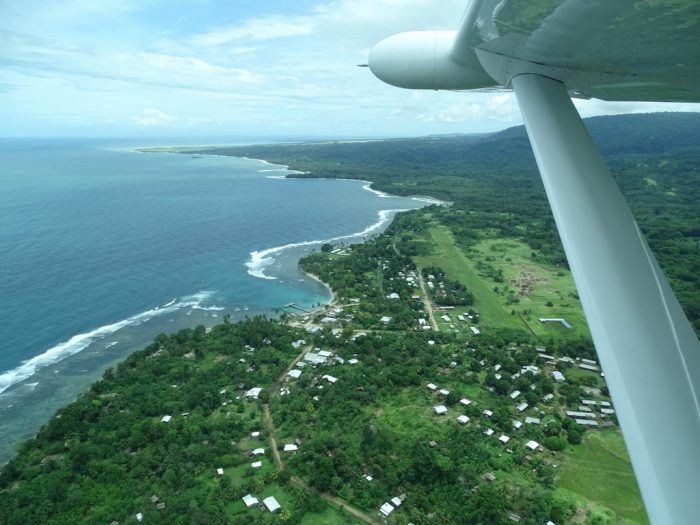 The four were heading to Wasu, a 40-minute flight along the east coast of Madang (compared to a 14-hour boat ride!). The Lutheran Mission runs the Etep Rural Hospital, nestled uphill from Wasu airstrip and serving a population of 150,000 people in the area. Currently, there are two doctors working at Etep Rural Hospital who are both recruited and employed by the German mission. This marks Dr Farnbacher’s last visit to the area as he is soon retiring. On the way back, a midwife and another hospital staff member were on board; going to Madang and Lae for administrative business. Early February marks the beginning of the new school year for PNG. 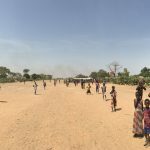 Three teachers and their families were booked to fly with us to Simbai for their first ever assignment at Kanainj Primary School; about a two days walk away from Simbai (10nm via air). We could see Kanainj from the air but couldn’t land. 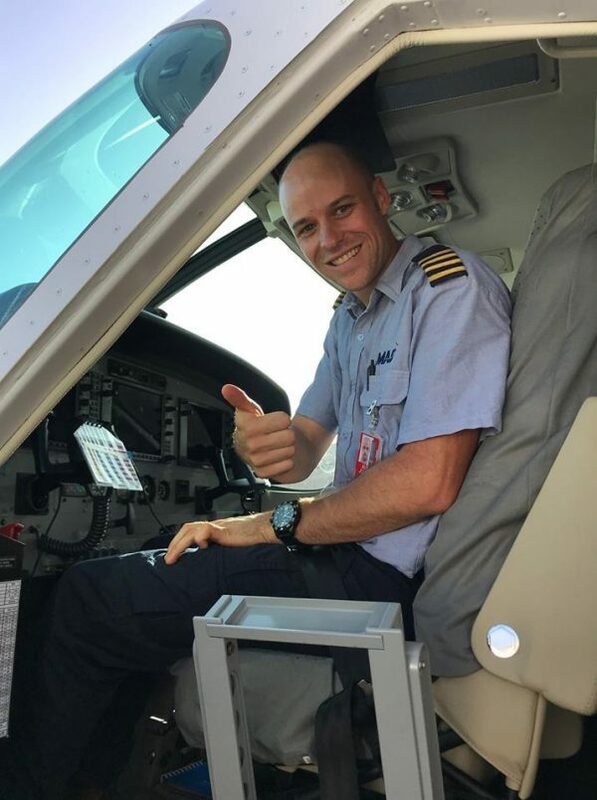 Kanainj is a very short and steep airstrip and therefore requires special training and checking flights for our pilots; unfortunately, Mathias Glass hasn’t been checked on this particular airstrip yet. By this stage, the weather became more and more challenging and more and more clouds were touching and covering the ridge lines, filling the valleys and making it very challenging to find the way into the Simbai Valley. 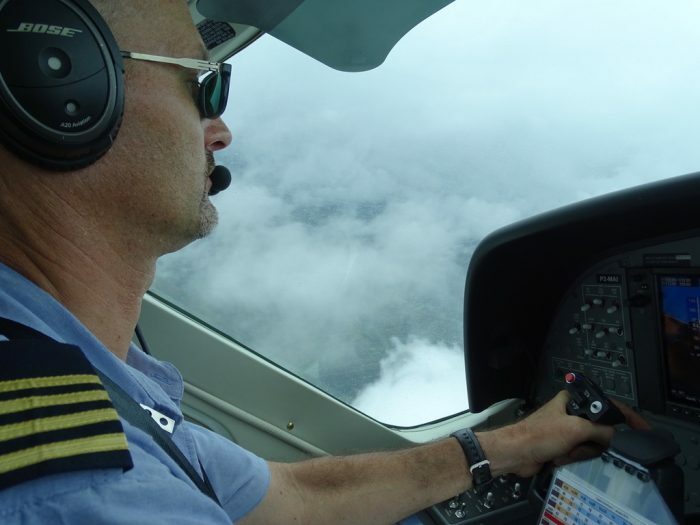 4nm before Simbai, the pilot had to make the decision to continue to Mt Hagen as the weather didn’t allow for safe visual operations. MAF Congratulation for the new plane and thanks for sacrifice to help most of our rural people. I attended Wasu High School. Thank you MAF for keeping them connected to the rest of the country and the world.